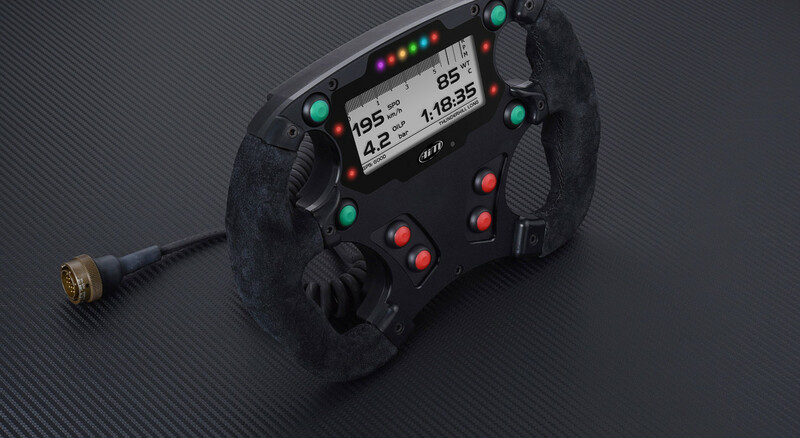 Formula Steering Wheel 3, for dimensions (ø 27cm) and structure, has been specifically designed for Formula and Sports cars. It offers the opportunity to visualize in real time all the information acquired by EVO4S or EVO5 loggers in a typical "racing" look. 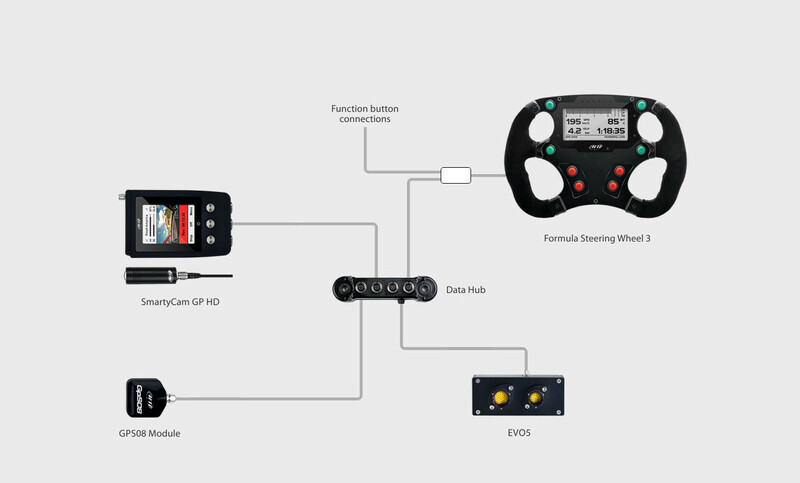 Formula Steering Wheel 3 features a small, fully configurable graphical display, showing the data sampled by EVO4S or EVO5 with a precise and enjoyable visualization. You can keep constantly under control lap times and all values coming from the ECU, from the accelerometers and from the GPS (included in EVO4S/EVO5 kits). The screen can be backlighted in one of the seven available colors. Alarms LEDs are managed in a very flexible way: you can choose the event that generates the alarm, the LED behavior (blinking frequency and color) when the alarm appears and the conditions for its switch-off. A warning message can also be shown. 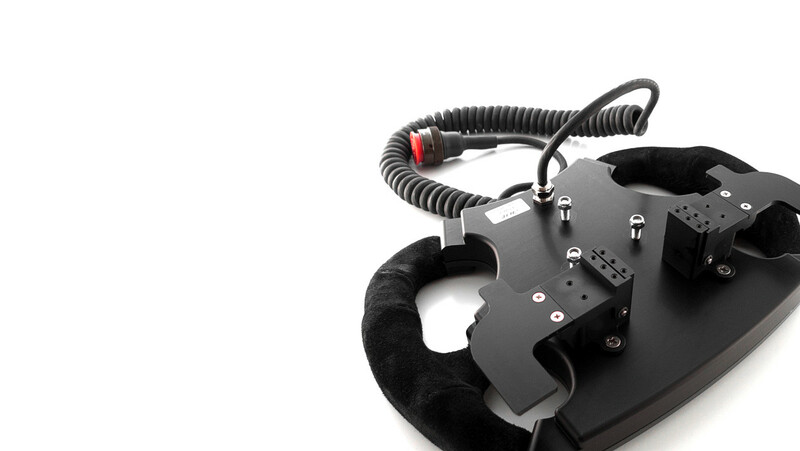 Shift Lights and Alarms are to be configured using Race Studio 3 configuration panel. 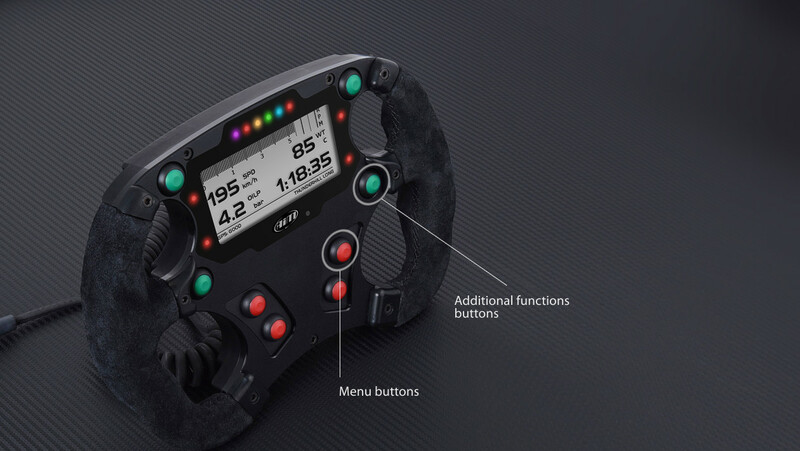 Formula Steering Wheel 3 swaps among pages showing lap times and data in a 100% customizable way: just choose your data and create your pages displaying up to 8 fields each. 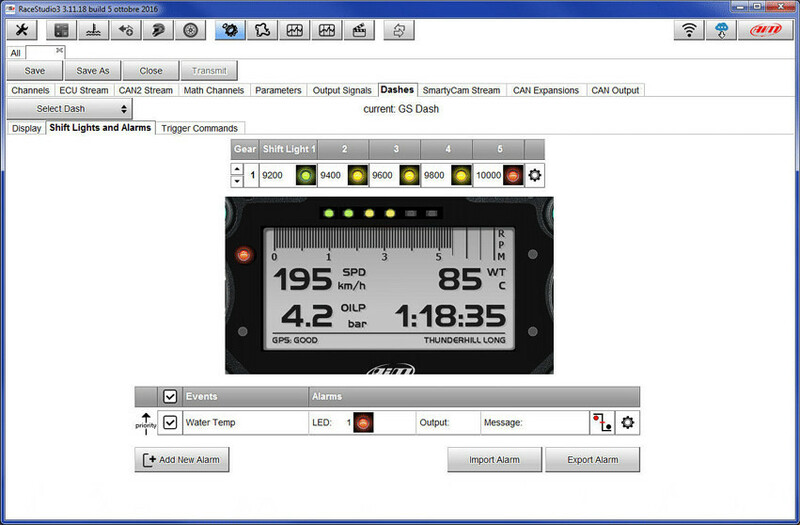 The "RPM and Lap Time" page layout is also available to display RPM Graph, Lap Time and three channels of your choice. A key-data summary is available at the end of each session: the three best laps of the session with their times, min/max speed and min/max RPMs. In the following page you can also see a list of all the laps of the session. Formula Steering Wheel 3 features optional paddle shifts. Robust, for its anodized aluminum chassis. in all conditions of light and weather.